The UTSA men’s tennis team had another full weekend of matches at the Conference USA (C-USA) Showcase hosted by the Rice Owls. 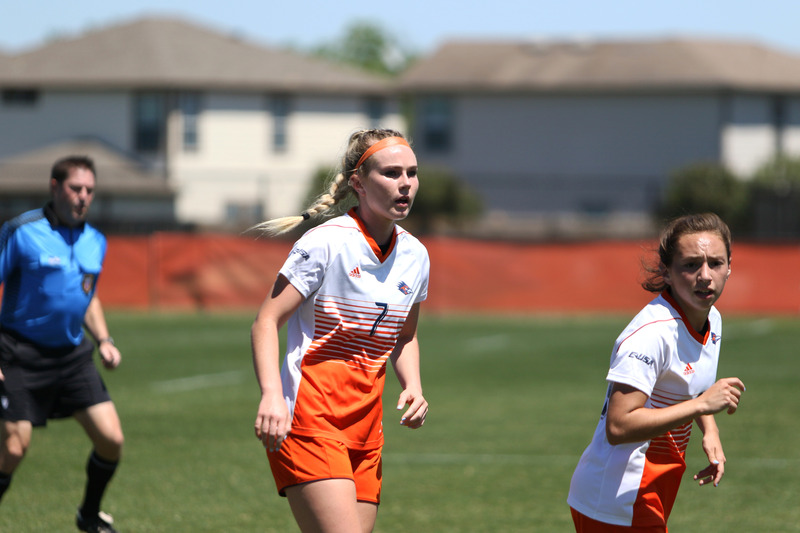 The Roadrunners faced the University of Alabama at Birmingham, the University of Southern Mississippi and Rice University in a three-day tournament. Men’s singles swept the competition on Friday and Saturday. Doubles dominated with a 2-0 win on Saturday after going without a win the day before. However, Sunday brought losses for both singles and doubles for the ‘Runners. Kai Breitbach started Friday off with a singles match defeating Roman Polstolka for the Alabama Birmingham Dragon 6-4 6-3. Next was Javier Rodriguez who won his match 6-2 6-2. Scores of 6-2 6-1 won Juri Reckow his match on Friday against Nikolai Manchev for the Dragons. Alan Sanson finished off the singles matches on Friday, winning both sets 6-4 6-1. The ‘Runners had two doubles matches Friday and unfortunately neither ended well for the ‘Runners. Joao Ceolin and Reckow won three games against their opponents but weren’t able to surpass them in the end. Another doubles team, composed of Breitbach and Sanson, lost with a final score of 6-4 against the Dragons. However, Saturday began to look up for the ‘Runners as they faced the Southern Mississippi Golden Eagles. Both singles and doubles teams won overall: singles with a final score of 3-1 and doubles 2-0. Breitbach bested his opponent again Saturday with 6-1 6-0. Rodriguez had another great day, winning with set scores 6-2 6-1. Reckow was the last to compete for the ‘Runners and won both his sets, only sacrificing one game in each. Ceolin also competed in singles Saturday but was beaten 6-4. Men’s doubles won both of their finished matches and were predicted to win a third unfinished one as well. Patrick Poestinger and Ceolin competed first and won 6-4 against the Golden Eagles. Following their win was the team of Rodriguez and Sanson who also defeated their opponents with a final score of 6-3. 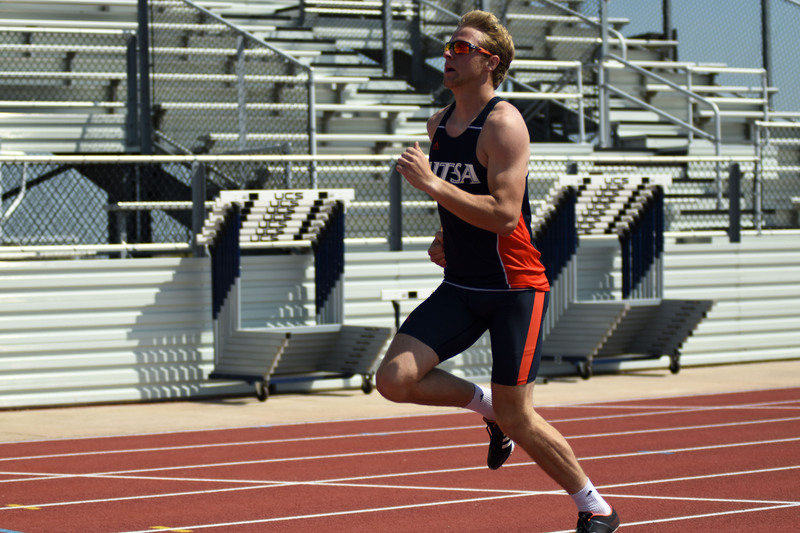 On Sunday, UTSA men’s tennis met their match against the Rice Owls. Only one singles competitor and one doubles team walked away with victories. Ceolin won his set with scores of 7-6 6-4. Breitbach, Sanson, and Poestinger all left with loses against their singles opponents from the Owls. The only doubles partners to bring home a victory were Ceolin and Poestinger who defeated the Rice team with a set score 6-3. Double partners Breitbach and Reckow lost as well as partners Rodriguez and Sanson in their respective matches. 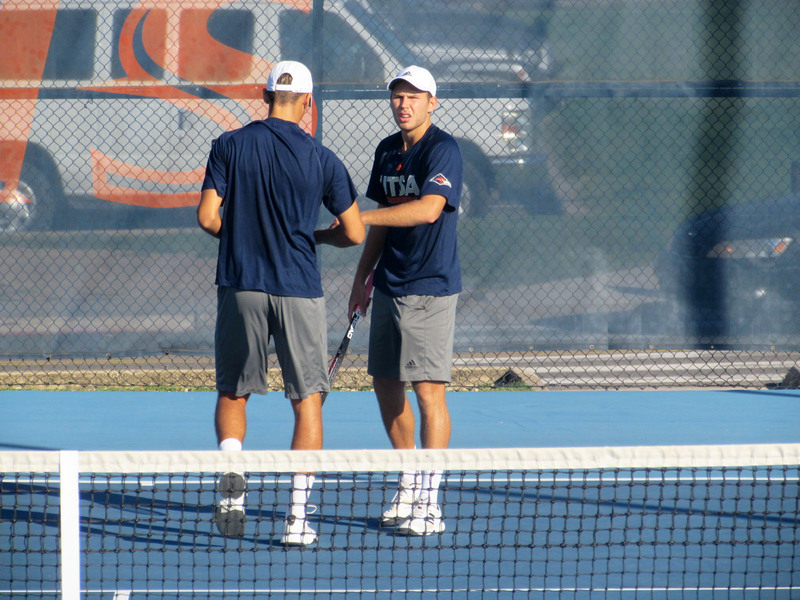 UTSA men’s tennis’ trip to Houston was worthwhile as they returned home with several wins, but the skills of the host team proved to be too much for the ‘Runners. The UTSA men’s tennis team will play next as they compete against Abilene Christian University in Abilene, Texas, next Saturday, April 13.